I've always loved to make sure I look neat and clean, doesn't really need to use those expensive beauty products in the store, however, I would love to try different kinds that would not harm my skin. 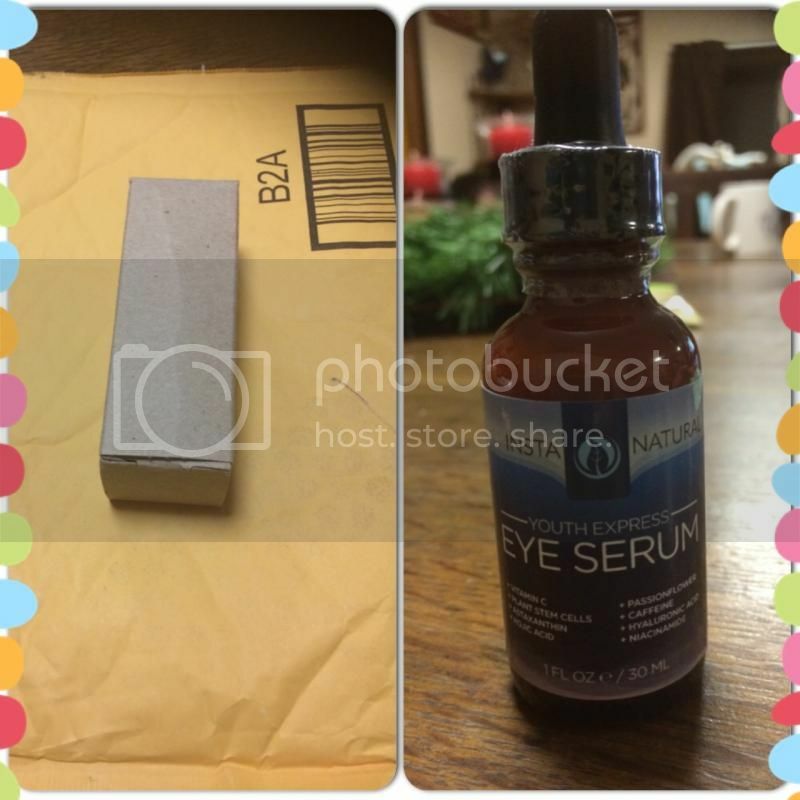 I will try InstaNatural's Youth Express Eye Serum as they recently sent me a product to review. How would it affect my skin? We will find out. The product came in the mail in a bubble wrap envelope and the item was in a small box as well. The application is very simple, the scent of the eye serum isn't strong which I like because I never like to have that smell that would also last while you are wearing the serum. I'm glad they don't have it. I love how the product is contained of and knowing they aren't harmful to my skin, I would say I'm going to keep and continue to use the eye serum until I've reached the desired goal I want. Overall, my experience with InstaNatural product is great, I'm so thrilled that I have worked with them and with this unbiased review I would say, I'll totally recommend this to my family and friends. This is NOT a sponsored post, I did not receive any financial amount. I received the products for free in exchange of my unbiased review. The outlook I expressed is 100% exclusively mine. With all the beauty products available these days, looking young is not a problem anymore. To be honest, this is the first time I've heard about eye serum. Seems a nice product to try. Meron ba nyan sa Pinas? I haven't heard of eyeserum yet, but goodluck with your goal on this sis.